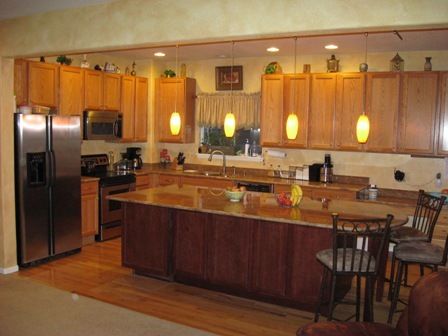 With 25 years of experience, 5 Star Innovations specializes in remodeling Kitchens, Baths and Basements, using highest-quality Karman cabinetry, and Stone Ideas custom granite countertops. 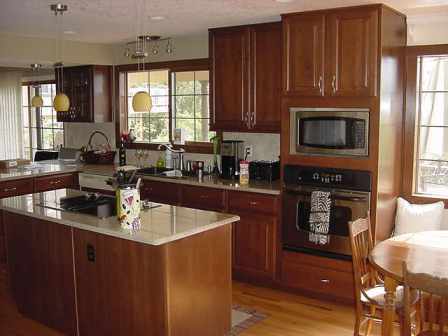 We will make an appointment with you, come to your house, listen to your ideas, show you new and innovative cabinetry designs, and create a custom plan you're going to love. Licensed and insured 5 Star Innovations enjoys an A+ rating from the Denver Better Business Bureau because we do quality work, keeping the area clean and clutter-free, responding quickly to customer requests, and finishing our work by the promised completion date. We believe that once our customer approves our design and accepts our estimate, they shouldn't have to pay a penny more, even if we encounter unforseen problems along the way. And we guarantee our work for a year. Our customers use us again and again, because they know our quality and integrity. 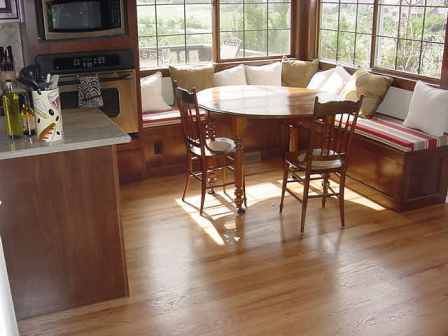 Adding the unique corner seating to the breakfast nook makes this an inviting gathering place for the family. We work in the South Denver area, principally in the following communities and surrounding areas: Highlands Ranch, Littleton, Lone Tree, Centennial, Castle Rock, Castle Pines, South Aurora, Parker, Englewood, Larkspur, Elizabeth, South Lakewood. 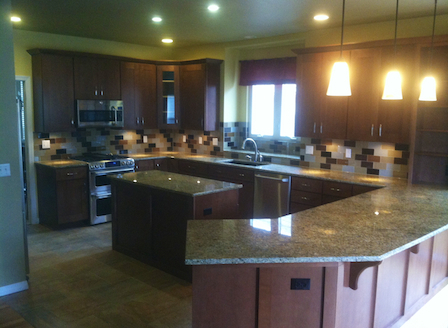 From the Denver Tech Center to Larkspur, 5 Star Innovations is your best choice to turn your dream home renovation project into reality, on-time, on-budget, and completely pain-free. Our single-thread renovation project management approach means once we start a remodel project, we are on that project until it is completed. We don't run multiple projects in parallel. Instead we focus on finishing each project on time before we begin the next. This approach means we show up on time, we finish on time and with minimum disruption to your lives. 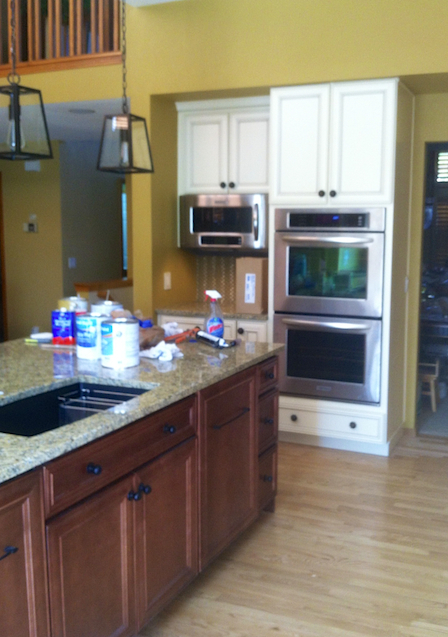 We treat your project as if we were working in our own homes. That means we cleanup as we go, and we finish as quickly as possible. 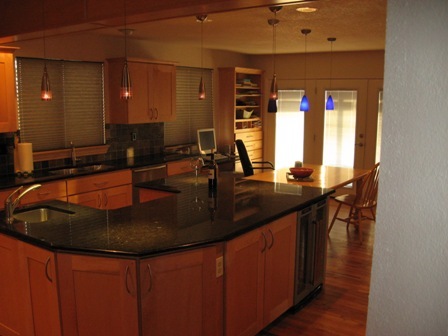 So whether you're interested in a kitchen update, a new bathroom, a basement renovation or custom work, give us a call at 720-250-8333 or dash us an email. 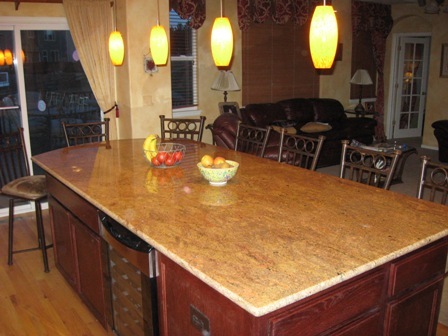 Always wanted an island with bar? Let us draw a plan for you. 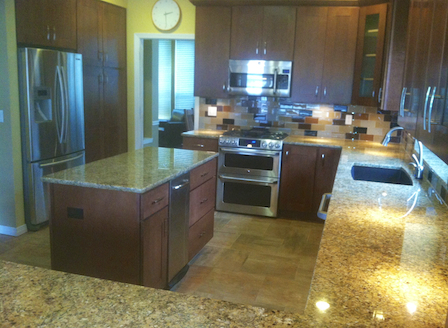 A perfect work space for the serious chef, this beauty with classic lines, rounded edges and dark granite makes this an ideal upgrade to your home. 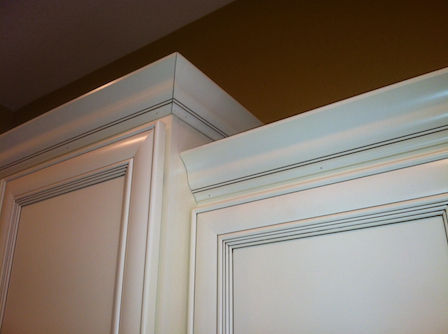 We also built the table to match the cabinets. 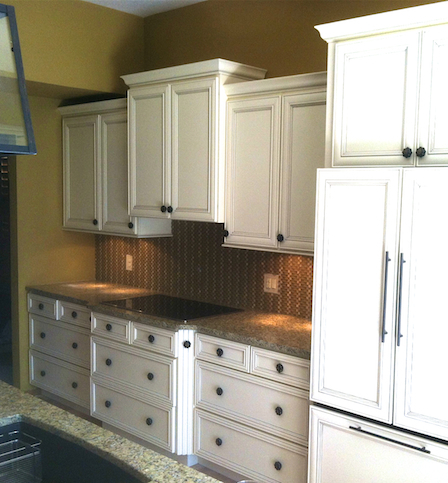 We do outstanding custom work. love the results. Mark and Mike impressed me from the moment they entered my home. They had great ideas on how to maximize my small space, and they also had respect for my time as a working mom with small kids. They introduced me to toe kick drawers for an often overlooked storage space, and even found a spot for a built-in spice rack, their ideas and innovation gave me a kitchen that works for me. As a mom to small kids, they understood I could not be kitchenless for weeks, and did a wonderful job accommodating that. I appreciated their respect for me and my space. I look forward to working with Mark again soon." 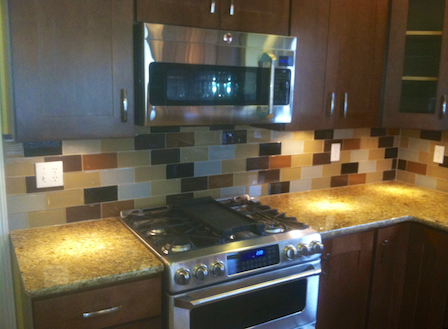 Need to move cabinets, plumbing, electrical outlets or appliances? We can do it! 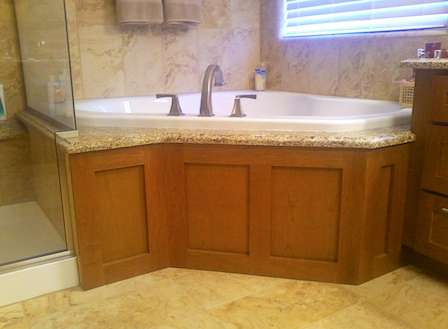 We created a custom wood panel for this corner tub to match the cabinets. If you can dream it, we can build it! We look forward to working with you on your dream project!